Hi peoples, I recently bought an 172 OEM wind diffuser, the one that fits between the anti-roll bars with the side hinged plastic wings and lower location spigots. The thing is I am sure I can get it to fit in my 171, not perfectly but good enough. 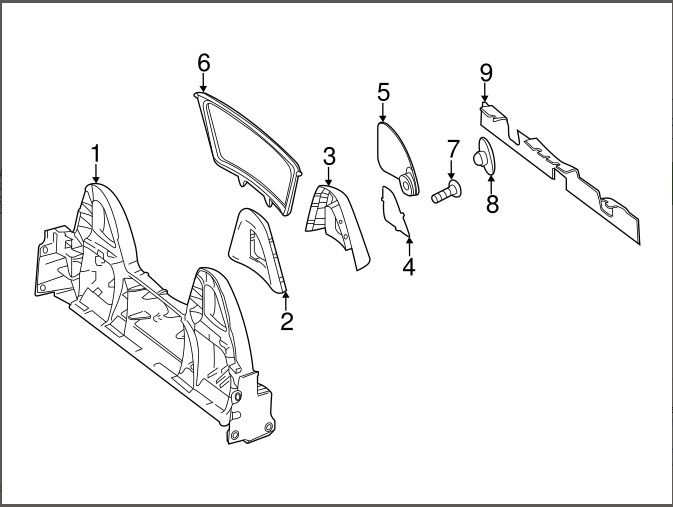 When cut some slots into the ar bars and the rear parcel shelf it would be good to fit the inserts from a 172. Could anybody furnish me with the part numbers of the said fittings. These will help to finish the job off professionally so to speak. Hi peoples, I recently bought an 172 OEM wind diffuser, the one that fits between the anti-roll bars with the side hinged plastic wings and lower location spigots. The thing is I am sure I can get it to fit in my 172, not perfectly but good enough. 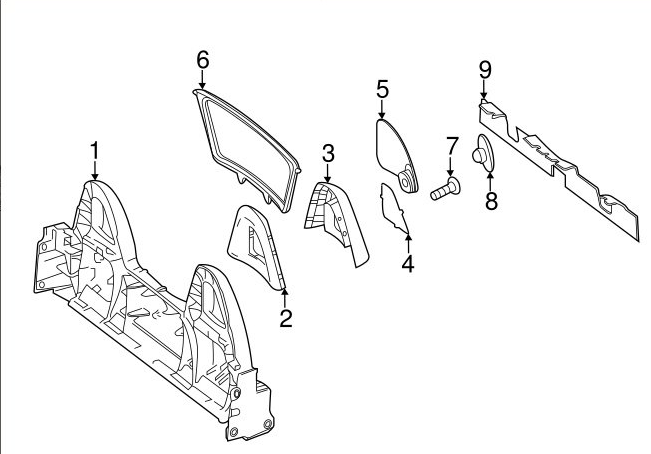 When cut some slots into the ar bars and the rear parcel shelf it would be good to fit the inserts from a 172. Could anybody furnish me with the part numbers of the said fittings. These will help to finish the job off professionally so to speak. You mention 172 deflector to fit 172, do you mean to fit 171 (the car you have listed)? My understanding is that 171 & 172 deflectors are not interchangeable. You just missed two, but as cars get sold more will come up. Check if they have all the parts first. Well spotted Avel Du,yes I did mean 'to fit my 171'. And I do not want to sell it on as I think they are the better choice out of all the oem types, apart from the 3 piece ones, but they are out of my price range. Hopefully I can fit them without spoiling the car. Just need the inserts for cosmetic reasons. A work colleague has a 172 so I can get dimesions from his car. Cheers, part numbers still wanted - anyone??? Can find part nos there. Hi Avel Du. No the guy with the 172 went home before I could ask for his VIN No. to find the part. Will ask tomorrow. Hi Wos53, No none of these parts l was expecting some inserts that fit in the anti roll bar for the 'hinged wings' to locate into. Looks like I need to look at the connection points again, but thanks for the picture. HiFriends, Been gathering infomation. See attatched file. My mate supplied theinfo. and agrees there are inserts in the anti-roll bars, these beingsacraficial to account for excessive wear which could lead to rattles from therestrictor. Hopethis clarifies to what I am lookingfor.at I am looking for. P.S.don't know if this attatchment is going to work but will keep trying, sorry forany duplicates. You just gave me a new search term to add to my hastags, "wind diffuser". Thank you sir!